Women wouldn’t be interested in owning a replica of Ripley’s shoes from Aliens, would they? 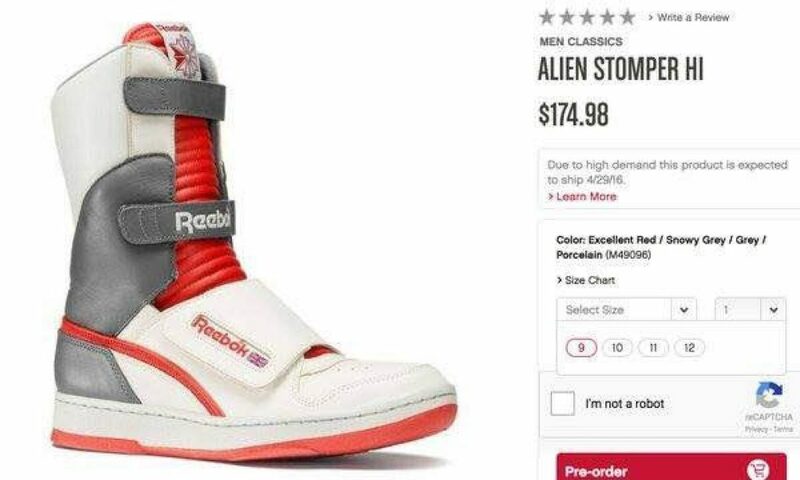 In celebration of Alien Day (4/26, because the original Alien movies take place on a planetoid named LV-426), footwear and apparel company Reebok released a limited edition run of the high-top sneakers Sigourney Weaver’s character Ellen Ripley wore in the first Alien sequel (pictured left). 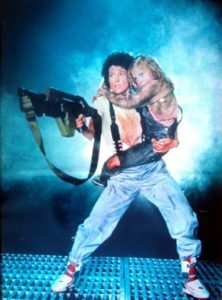 Considering Ripley is, at least from an American perspective, the preeminent female action hero, fans were stunned to learn that her shoes were only available in men’s sizes. As mentioned, these spiffy kicks were super-limited edition and only 36 of the total batch of 426 were made available to US consumers. Were any of that batch available in sizes less than a men’s 8? How many? Did they all sell out so quickly that no one reporting on this stuff can find evidence of their existence? That’s… not quite what I asked. But, it’s par for the course when it comes to company responses, if you can even get one in the first place. So, this morning I browsed eBay to see what I could find. Men’s 7 is still a woman’s 8.5 or 9, a shoe that’s going to be too big for most women. Does that prove anything? No. But it certainly gives the impression that it never occurred to Reebok that women (American women, at least) would be interested in owning a replica of the 80s-tastic sneakers worn by arguably the most recognizable female action hero in Hollywood movie history. For what it’s worth, Reebok also released a replica of Bishop’s mid-top sneakers. I found 42 of them on eBay ranging from size 5 to 12.5. Man, 80’s vision of future fashions are really ugly. Between these and Marty’s future Nike’s, they must have thought people in the future would be blind.